Watch Family Guy Season 13 Episode 5 online via TV Fanatic with over 6 options to watch the Family Guy S13E5 full episode. Affiliates with free and paid streaming include Amazon, iTunes, Vudu, YouTube Purchase, Google Play, and Hulu Plus. 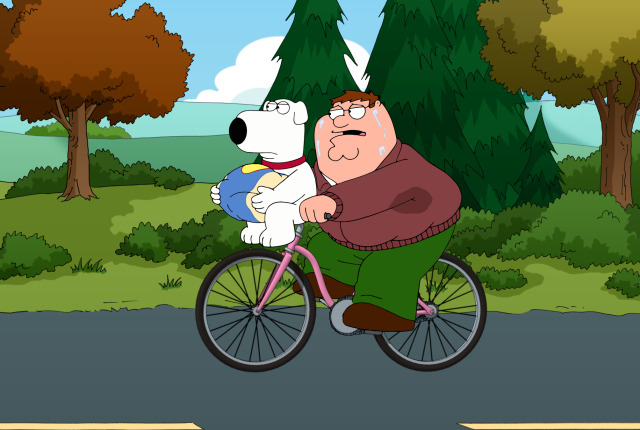 On Family Guy, after eating all of the Thanksgiving turkey the night before, Peter and Brian head out to find another while Chris takes over as man of the house.